With the end of national marijuana prohibition in sight, an industry of cannabusinesses and enthusiasts are helping to redefine the way American culture perceives marijuana as medicine and a safe adult substance. As cannabis continues to infiltrate mainstream and subculture, a necessity for marijuana education jobs and training programs for novices and passionate potheads has made itself apparent. With increased popularity and depleting stigma toward openly working in the legal marijuana industry, larger numbers of applicants than ever before are looking to take a piece of the marijuana industry’s pie. Cannabis dispensaries across the country, especially on the west coast are overwhelmed with applications for jobs in budtending, reception, management, security and more by eager individuals who possess a wide variety of job experience and qualifications. One of the predominant difficulties employers experience when seeking workers with a marijuana job background is the issue of legality. Given how recent recreational legalization is, both candidates and employers are gridlocked into not discussing illegal marijuana experience. Many individuals have not had the opportunity to openly pursue apprenticing or training in the cannabis industry, leaving them grasping for straws on how to find even entry-level marijuana jobs like a receptionist or budtender position now that working a cannabis industry job is more widely accepted. Before considering marijuana education jobs for adults looking to work in the marijuana industry, major education reform for children in schools is hitting its stride, especially in states and municipalities where recreational adult use of cannabis products is legal. The Marijuana Education Initiative (MEI) provides Colorado school districts with legitimate, comprehensive information on marijuana and how it affects the minds and bodies of kids and adolescents. The focus of programs such as these are to not indulge in scare tactics and exaggerated or falsified information about marijuana’s potential harms, but rather to provide students with knowledge of the impact of marijuana. MEI offers several options for curricula including “Marijuana Education and Impact Awareness Curriculum,” “Marijuana Intervention Curriculum,” and “Infraction Response/ Alternative to Suspension Curriculum” to name a few. These programs offer diverse resources for students including prophylactic education about the risks associated with child use of marijuana, as well as non-intrusive intervention for students who use marijuana already. This program is designed using tactics such as to cognitive behavioral therapy (CBT), journaling and mindfulness to help students set goals and reevaluate their decisions. Another service offered by MEI is an alternative to school suspension for students in hopes to motivate instead of punish. MEI is not the only resource cropping up that offers re-education of marijuana education, signaling a fundamental shift in attitudes toward cannabis as a medically viable substance. Finding marijuana education jobs involves all the typically associated qualifications of being an educator or counselor in your city and state. This job is a serious one and only the most experienced, knowledgeable and unbiased individuals need apply for these positions. Applicants must have credible experience in education and counseling, among other certifications. With many positions in the marijuana industry, field experience is necessary in qualifying individuals for jobs that require hands-on interaction with marijuana products. Certification courses in cultivation, budtending, security and more are being offered for organizations such as THC University, Medical Marijuana United and Trim Ready, which are ahead of the curve in providing paying adult students with the opportunity to be immersed in cannabis education to help their resume stand out from the rest when applying for marijuana jobs of all kinds. Depending on the organization, certification and training courses are offered either online or in-person with a traditional class setting. The more hands-on courses where students are able to actively gain experience interacting with marijuana cost more to complete than online classes, though prices vary. Online resources are especially beneficial for individuals who live in regions where medical and/or recreational cannabis isn’t legal and is devoid of any legal in-person hands-on training. Advanced studies in topics like edibles processing and concentrate extraction are great precursors to obtaining a job in one of the more advanced and high paying positions in the cannabis industry. Most individuals seeking marijuana education jobs are doing so in an effort to work in cultivation or in dispensaries. Cities like Portland, Oregon; Seattle, Washington and Denver, Colorado contain the highest concentration of both dispensaries and job applicants, creating a desire for comprehensive marijuana job training programs. 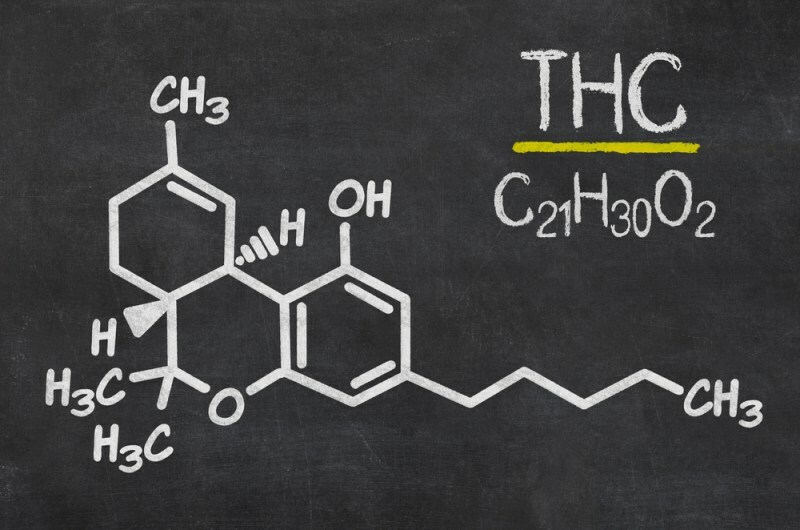 Courses in dispensary education offered by organizations like THC University focus on providing students with a well-rounded overview of daily responsibilities and operating tasks for all major positions in marijuana dispensaries. This includes demonstrations on quality control, packaging and labeling, strain differentiation and patient prescription, among others. Though many individuals are looking to start working at a dispensary in the budtender position, these certification courses make sure to cover all the basics associated with other positions like marijuana receptionist jobs as well as other marijuana customer service jobs. Data entry and regulation compliance are necessary evils of working most positions in dispensaries, so it pays to have a basic administrative skillset down. Given the level of experience required to teach and charge for a course in dispensary jobs, the instructor must have years of credible experience working in a dispensary, as well as the tools to convey that information effectively to students. All instructors in the marijuana education and certification industry must have the unique skill to be experienced and knowledgeable, as well as an inspiring and efficient teacher. Another popularly requested marijuana education job is in marijuana cultivation. Instructors often bring students to grow operations, walking them verbally through the process of germination, cloning, transport, pest protection, harvest and everything in between. Even in states here marijuana in medically/recreationally legal, most people have never seen a grow operation, or received a breakdown of the process in person. This kind of course is very valuable, as it provides students with the chance to visually connect with their lesson. Instructors also teach anatomy of the marijuana plant to give people a better idea of what professionals are saying when using all that industry lingo. Cultivation can be a tough sector of the marijuana industry to break into, so any and all marijuana job training is highly encouraged. Though trimming certifications should and do have courses all their own, trimming is an essential process of preparing marijuana flower for sale. These hands-on classes detail the different trimming methods (wet vs. dry) focusing on which parts of the bud are trimmed and what is kept and cured. Instructors detail how sugar leaves and other stray greenery on the pant is snipped off to create not only a more aesthetically pleasing bud, but a harsher, more concentrated product. Arguably one of the most important educational resources for dispensary jobs is security licensing and training. For dispensary owners who choose to employ a security officer, it is essential that the officer be trained in non-violently de-escalating any situations that require their attention. Especially since most security officer do carry pepper spray, batons or even pistols in some cases, it is integral to train guards on how to protect customers and employees, while also not being trigger heavy. As marijuana legalization continues to pass in various swaths of the country, individuals are reaching out to marijuana educators in hopes of finally being able to understand medical and/or recreational legalization in their home state and municipality. These courses help to break down the convoluted legal material into digestible pieces of information that can help take you from novice to knowledgeable after just a one day, couple hour course. There are a number of other marijuana education jobs out there covering virtually every sector of the ever expanding cannabis industry. These programs mutually benefit all different fields in marijuana employment, creating marijuana education jobs and engendering a trained workforce adding to the applicant’s individual credibility and the cannabis industry’s credibility as a whole.